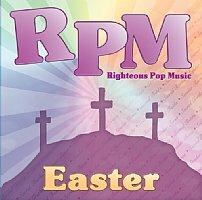 The "Righteous Pop Music" CDs are created by Mark Bradford, parody songwriter. They are Christian lyrics written to the tunes of the past. These songs will be a great hit among puppet groups as they look for performance pieces for this upcoming Easter season. Familiar tunes are listed in italics.